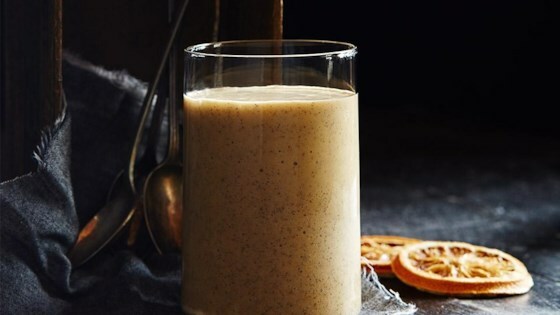 "For an on-the-go breakfast or after-school snack this orange and banana smoothie with chia seeds can't be beat." Divide the smoothie evenly into 6 (3 oz.) cups or ice pop molds. Cover cups with foil. Insert food-safe wooden craft sticks into center. Freeze 3 hours or until firm.